The Academy of Television Arts & Sciences announced its new batch of Hall of Fame inductees Monday. At least two of the six additions, bringing the total to 155, beg the question of a notable omission. Julia Louis-Dreyfus has been voted in, but Jerry Seinfeld has yet to be enshrined. 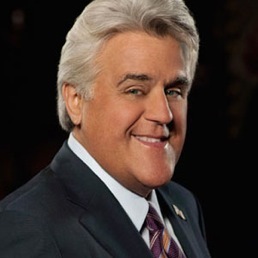 And Jay Leno will be a new member while David Letterman is still waiting for a call. This is the same body that annually awards the Emmys. Its TV Hall of Fame dates to 1984, when the first to be named were Lucille Ball, Milton Berle, Paddy Chayefsky, Norman Lear,Edward R. Murrow, William S. Paley and David Sarnoff. No list is perfect. And it’s not Leno’s or Louis-Dreyfus’ fault that they were voted in this week along with producer David E. Kelley, media mogul Rupert Murdoch, former ABC entertainment president Brandon Stoddard and sound pioneer Ray Dolby. Still, one wonders about a TV Hall of Fame that also has yet to enshrine Laugh-In creator George Schlatter (recently honored with the Kovacs Award at the Dallas Video Fest); Larry Hagman, Peter Falk, James Arness, Hugh Downs, Julia Child, Raymond Burr, Ken Burns, Don Knotts, Tom Selleck, Pat Summerall and John Madden (even though Al Michaels was inducted in March of this year). It’s true that Louis-Dreyfus has starred in two other successful TV series after Seinfeld. And she’s won a total of four acting Emmys for her roles in Seinfeld, The New Adventures of Old Christine and the current Veep on HBO. So one could make a strong case for her while also wondering how Jerry Seinfeld didn’t get in before her and why Edie Falco (four Emmys for The Sopranos and Nurse Jackie) might not be equally deserving. Leno’s induction, ahead of Letterman’s, is simply preposterous. I’m not sure how it could be argued otherwise, even though I’m a Leno supporter who thinks he’s again being prematurely evicted from The Tonight Show despite still ranking No. 1 in the late night ratings. The complete list of TV Hall of Fame honorees can be found here. Maybe you’ll find other notable omissions.